i was seriously half way (ok maybe more like a quarter of the way) through my neon nails when i remembered that it is tuesday, tuesday before wednesday, wednesday the day i have an interview i've been anticipating for way too long. i couldn't possibly have neon nails for such an interview. i mean really, the whole navy/white/totally preppy and clean look i've been planning IS NOT going to work with neon nails. 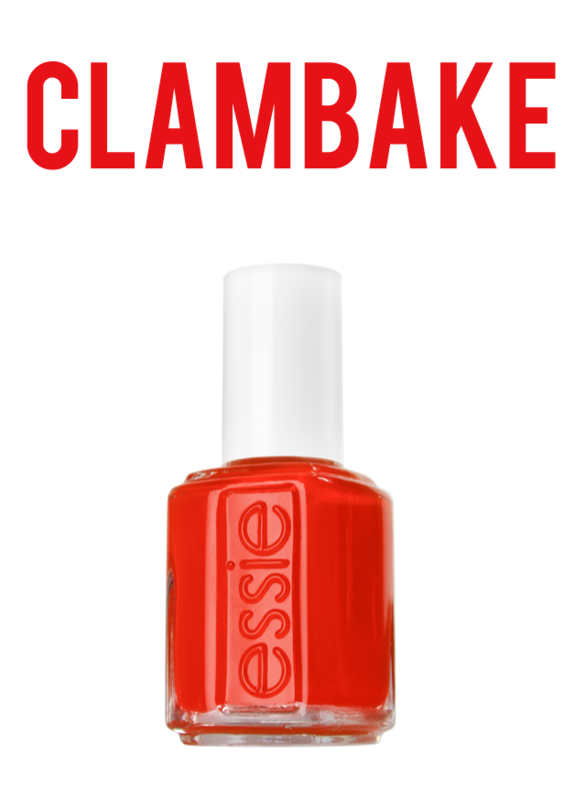 so instead i'm hitting up the perfect summer red, clambake. yup. another simple, but awesome, manicure for me. I adore this color too! My absolute favorite for summer. Wow. That color really epitomizes a clam bake doesn't it? Super wonderful. awesome color. my favorite summer red is essie's lollipop. Lollipop is my hands down fave.